Weather folklore has been going on for generations and was mostly started by sailors many centuries ago and possibly even from the very beginning of time. Being from the south, it’s not uncommon to hear such folklore fairly often due to the vast amount of families there who have been farmers for numerous generations. 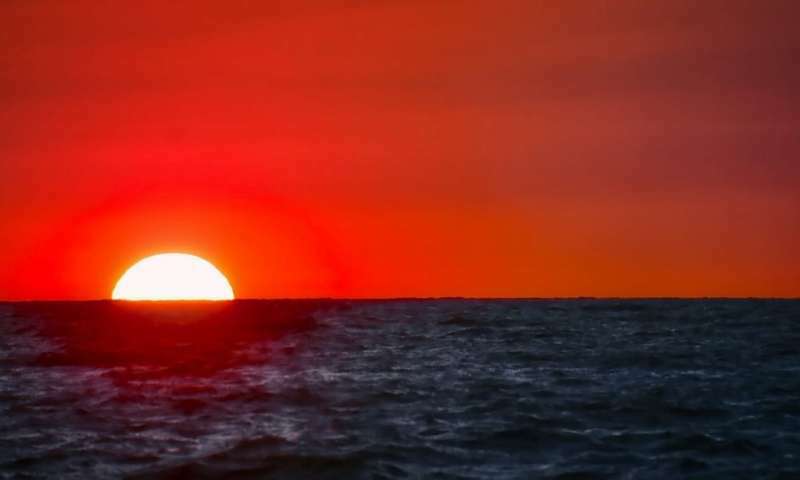 One of the most common sayings that most people have heard once or twice before is, “Red sky at night, sailor’s delight. Red sky in the morning, sailor’s warning.” So now the question is, is there any truth to the statement? Before finding whether this is true or false, some basic atmospheric characteristics need to be checked over first. The sky gets its color from the rays of the sun being split into different colors along the electromagnetic spectrum as they pass through the atmosphere. This means that these rays ricochet off anything in the atmosphere, such as water vapor and dust particles (cloud condensation nuclei) and alter the color we interpret the sky to be. Not only do these particles potentially affect the color of the sky, the amount of them in the atmosphere can also be an indicator of the weather that could potentially occur that day. For example, excessive amounts of water vapor in the air creates an unstable environment and added with all the dust particles for the water vapor to condense upon, clouds can form. The more unstable the environment is, the faster these clouds can form, and the quicker air parcels are able to rise as buoyancy is increased through an increase in differential heating throughout the day. ​We see blue skies more often because without an excess of dust particles, the ray is being reflected by the water vapor and blue wavelengths are shorter and quicker to breakdown than red wavelengths. Red skies are more often seen when there is more of an abundance of dust particles than water vapor. Dust particles are more likely to reflect the red wavelength as it is longer and tougher to breakdown than the blue wavelength with water vapor. With that being said, when there is a red sky, there is at least some evidence that there will be a humid day ahead with a greater potential for cloud coverage as the day goes on. Normally, when the aforementioned conditions are present , typically a warm front approaching/already passed . When the red sky is seen at night, that means that there is a high-pressure system coming, meaning clear skies and decent conditions are ahead for at least the next couple days. Why is this a delight as the sun is setting? The layer at the surface at night is typically stable with the environment becoming less buoyant and more shear driven as the mixing layer that expanded during the day disintegrates. So even when the front comes through during the evening, the threat for severe weather/choppy waters is much less because the water cools off much faster than the land. Now seeing a red sky during sunrise is a completely different story. As previously stated, this typically suggests a high-pressure system is approaching. The problem with a front coming through during the day is that as the surface heats during the day, differential heating causes a heavily buoyant atmosphere where parcels can thrive and accelerate rapidly in the vertical and increase the instability. Thunderstorms will begin to form along the front (if not ahead of it as well) and cause choppy waters and potentially waterspouts if the ingredients are all there. So, does this saying hold true? Statistically, it doesn’t seem to have been studied enough to find the correlation between the two. However, meteorologically it is very possible and would make sense for it to be true. Not all weather lore can be backed up by science, but this one seems to check all the boxes of a factual lore. To learn more about this and other social science related topics, be sure to click www.globalweatherclimatecenter.com/social-science-topics! Over the course of any winter season, one of the leading issues when it comes to winter weather forecasting has to deal with understanding the limits and difficulties of day-to-day weather forecasting (and specifically during the Winter-time season). Before getting any further, it is imperative to recognize that the atmosphere is effectively a dynamic fluid which is constantly evolving and moving every second of every day. As a result of that factor, it can often be incredibly challenging to begin to try and anticipate when and where the heaviest snowfall can occur during a given winter weather event. 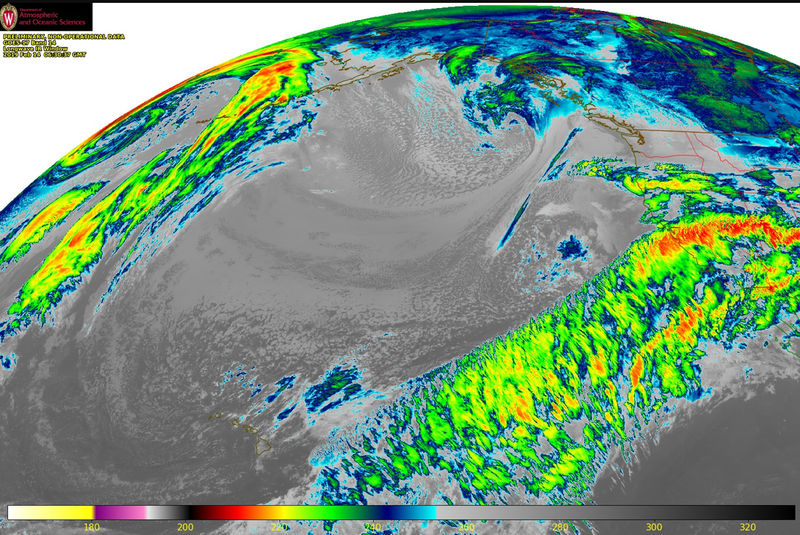 Whether it is forecasting a given low temperature or where maximum snowfall will occur and how much there will be at a given location can often be one of the hardest things to do in the atmospheric science world. Despite how much meteorologists will often get criticized during any given winter season regardless of what they do and how well they do their job, there is something very important to keep in mind. This key concept to always bear in mind is that weather forecasting is a challenging job which involves monitoring dozens of parameters at multiple levels of the atmosphere and being able to make sense of everything. From there, one needs to boil it all down to a single forecast for the next 3 to 5 days wherein there is a prediction of upcoming temperatures, winds, cloud clover, and precipitation. However, when trying to do a longer-term forecast one of the leading challenges is often tied to the fact that most longer-term forecasts involve prediction the future evolution of developing oceanic cyclonic systems over larger oceanic basins. Thus, in the case of North America, this deals with anticipating the future dynamic evolution of cyclonic low-pressure systems developing over the Central and/or Eastern Pacific Ocean. Thus, when it comes to anticipating how developing Pacific low-pressure systems upwind of North America, it can be incredibly challenging to consistently generate very accurate and even localized weather forecasts for regions even across the Western and Central United States. However, as of 2016, help has finally begun to come to the rescue by way of the GOES-16 and now the GOES-17 satellite imagers. Hence, even in an age when weather and climate continue to be front and center, it is important to give due credit to your local National Weather Service forecast offices as well as your local tv meteorologist since everyone is constantly working their best to produce the best possible forecast. So, be sure to keep these things in mind the next time you have second thoughts about how and why a given winter weather forecast evolves the way it does at a given point in time. To learn more about other interesting weather and climate topics in social science, click here! Records dating to 1887 show Phil predicted a longer winter 103 times, while forecasting an early spring just 18 times. 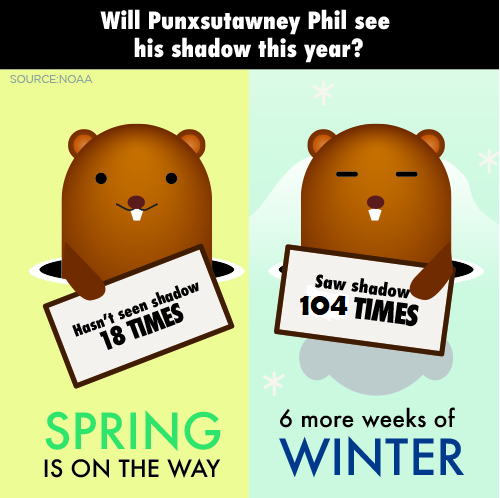 Last year, for example, Phil saw his shadow suggesting six more weeks of winter. However, February was ranked in the warmest third February’s or about 1.6°F above the 20th Century average, and March was ranked near the median value of a 124-period record. Alaska’s February and March temperatures were 8.3 F and 6.9 F above the long-term average, respectively. But, results weren’t consistent across the United States. Below average temperatures were observed along parts of the East Coast in February and in the Pacific Northwest and Northern Plains for March 2018. As of 2018, Phil has made 132 predictions, with an early spring (no shadow) predicted 18 times (~14%). On average, the groundhog’s accuracy has given results somewhere around 39%. After 1969, Phil’s accuracy drops to about 36% with the availability of and accuracy of records to verify with (Wunderground). Even flipping a coin, you’d still be right about 50% of the time, which would still be better odds than going off of Phil’s predictions. Predicting the weather 6 weeks out would require greater computational power than what is currently available. Even accuracy after about 7-10 days starts to fall of rapidly when introducing model differences. However, climate forecasts are primarily based off sea surface temperature patterns. The three-month CPC outlook for March, April, and May spring currently shows above normal temperatures for the western and southeastern United States, and above normal precipitation for the Rocky Mountains and Great Plain states. We shall see how well the remainder of February matches what would be expected based on what a groundhog named Phil predicted. In the meantime, sit back and enjoy Phil’s promise of an early spring ahead. To learn more about various topics in the social sciences, please click here! Discussion: Weather folklore, though based on years of observation, are simply just observations. They do not hold as much weight in predicting weather since scientific advances have become increasingly more accurate. Nonetheless, animals utilize their five senses so efficiently that they can detect incoming changes in the environment better than humans. So which animals actually help predict the changing weather and ground conditions? Elephants and cattle start hearing sound at 16 Hz while humans typically hear a range between 20 – 20,000 hertz (Hz). Earthquake shockwaves and ocean waves produce sounds in the infrasonic range (below 20 Hz). 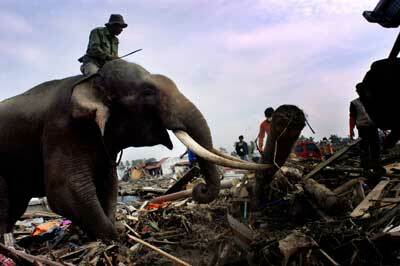 Elephants can also feel the vibrations produced by earthquakes beneath their feet. While infrasonic, or low-pitched sound vibrations, can make people nauseous and feel uneasy, animals perceive the sounds as dangerous and instinctively seek safety. Birds, bees, and sharks are also very sensitive to infrasonic frequencies created by hurricanes and thunder. Extreme changes in barometric (air) and hydrostatic (water) pressure trigger animals’ survival mechanism. 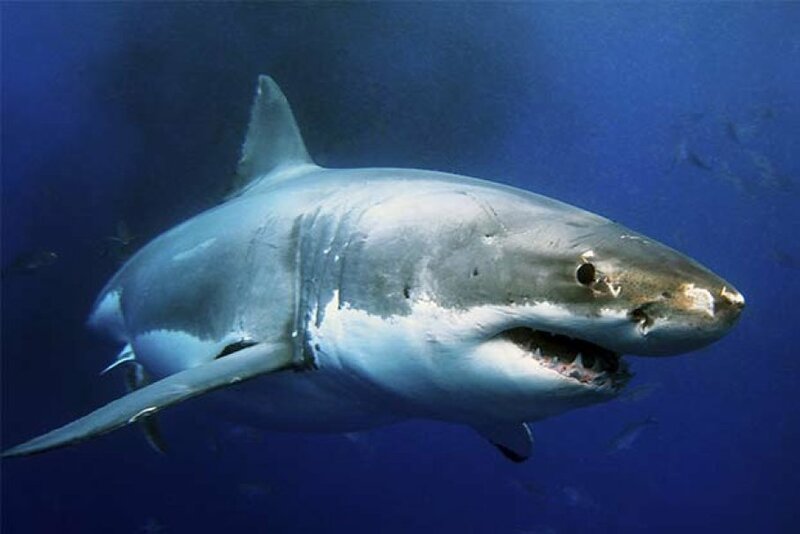 The intense drop in pressure causes severe pain to sharks and they dive to deeper waters for more protection and pressure relief. Birds react by sensing where it is safe to migrate while bees scout the environment for a safe location of a new hive. 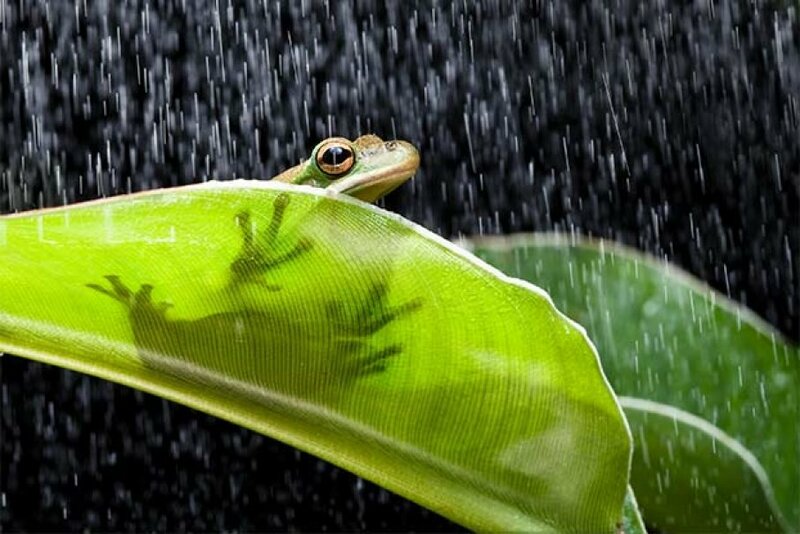 Aside from natural disasters, frogs give an indication as to when it will rain. Frogs absorb water through their skin. After they mate, they lay eggs in bodies of freshwater. If you hear more than the occasional croaking, chances are that rain is on the way. The loud, intense croaking is a result of frogs becoming excited about a soaking rain because more water means they are more likely to have successful reproduction. Scientists do acknowledge that animals can sense environmental changes before they occur, but scientists have not come to the conclusion that these animals can detect earthquakes or extreme precipitation events days in advance. If you notice any of the animal behaviors that are scientifically-proven to detect hurricanes, earthquakes, or precipitation events, you may want to pay close extra attention to the weather forecast. Even when the other observed animal behaviors are seen, it is best practice to be alert to changing environmental conditions. To learn about additional societal impacts of weather, click here. "Famine houses" similar to this one in County Clare, near Galway, were abandoned when occupants either emigrated or died. Up to 6 family members, cows, and sheep would live in the tiny one bedroom house. Have you ever thought about how the weather affects the food you eat? What about the climate impact of crops or whether you’ll have a potato with your steak tonight? From 1845-1849, a blight known as the Great Irish Potato Famine affected Ireland. Millions of Irish died, as well as millions more emigrating to other parts of Europe, Australia, and North America. The population of Ireland has not recovered since. Ireland has a damp, maritime climate due to its proximity near the eastern edge of the Atlantic Ocean. This cool, damp climate helps to favor the growth of the potato, but is also ideal for the spread of blight. The blight caused by the water mold, Phytophthora infestans (P. infestans), tends to thrive in these conditions, where it develops spores on the leave and washes into the rain-soaked soil to affect the growing roots. The summer of 1845 was especially wet. By this time, a zonal flow pattern had emerged, which can deepen the Rossby Waves (large-scale waves associated with the polar jet stream separating the cold polar air from warm tropical air) and can act as a blocking system for up to 10 weeks at a time. This can affect entire growing seasons and prolong excessive wet, dry, or cold conditions. Sea surface temperatures were above normal for most of the period, but it is unclear how an ENSO event affects Ireland and northern Europe. It is thought that a moderate El Niño may lead to a slightly colder, wetter winter, but that is also dependent on NAO (North Atlantic Oscillation). Not only did climate play a huge impact in the role of the blight, but certain impacts such as poverty, economics, and politics also played a factor. The weather was also rough in England and poor Irish farmers shipped what they had to England, leaving their own families with barely enough to eat. Trade from the North America introduced new diseases and mutations (including this specific strain of potato blight). This certain potato was only one of two of its kind- an increase in genetic variety may yield a better crop. In the early stages of the famine, the British government also wasn’t prepared to deal with the magnitude of the crisis, and thus, were slow to react. Weather affects the severity of many plant diseases, but climate change is likely to alter the patterns of disease severity in crops. With a changing climate, areas that are warm may get even warmer causing crops to wilt ; dry areas may be more susceptible to prolonged drought, meaning a less predictable harvest from year to year. In the future, drought, extreme heat, and widespread flooding events will complicate farming in Asia, sub-Saharan Africa, and Latin America. Already, we are seeing the effects of climate on Mexican farmers and wilting crops. Evaluating future patterns can help to focus crop breeding to produce more resilient plants and focus on disease management research. While the strain that caused the potato blight is still a common potato disease and gives us an idea of what famine may look like in the future, the focus must shift toward constantly improving technology to prepare for warming and other various impacts. To learn more about these and other social impacts on climate, please click here! As you continue to get deeper into the 21st century, there is no debate whatsoever that science education and details thereof have become increasingly important in taking center stage more now than ever before in recorded history. In getting a little deeper than that, many teachers and educators across the country and the world are always on the look for reliable and versatile scientific content help educate the next upcoming generation of interested and/or even passionate young scientists. Thus, the operative goal of any such educator is to find a vast wealth of knowledge from a diverse group of scientists from across a large spectrum of experience to maximize their ability to explain more complex scientific issues and/or concepts. Well, in short, right here at the Global Weather and Climate Center (GWCC), we have all of that and more both within and even beyond the confines of the GWCC Kid’s Corner. Whether you have toddlers, young elementary, middle, and/or high school students looking to learn more about weather, climate, environmental issues, space weather, or other topics, GWCC will have something you will be looking for or have a keen interest in. And, best of all, it is all free-of-charge and can be used in classrooms around the country and the world for that matter. Thus, the GWCC Kid’s Corner is a hot spot for any and all youngsters and educators from any and all walks of life who want to both expand the breadth of their science education potential and make it fun and entertaining by the same token. So, the next time you find yourself indoors, be sure to give the GWCC Kid’s Corner a lengthy visit and learn all about the most profound atmospheric and climate issues from around the world as a start. While you are there, test yourself with some of our trivia questions as well. It will be a rewarding and educational experience that you will want to share with anyone and everyone. So, without any more waiting, click here to immerse yourself in the GWCC Kid’s Corner experience. 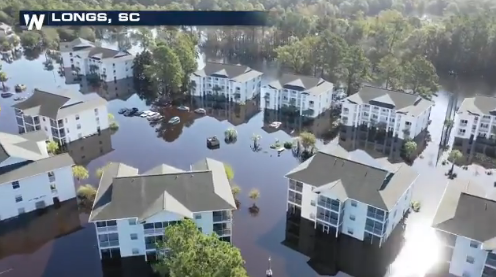 DISCUSSION: There is no question that the impacts both prior to, during, and well after the recent landfall of Hurricane Florence along and in the vicinity of the the North Carolina and South Carolina coastlines led to impacts which will forever the lives and memories of millions of people living in these regions of the United States' East Coast. Having said that, there is still much to be learned and gained in a somewhat more positive context from what still clearly is a horrific natural disaster. Attached above is both some first-hand drone footage which was captured and shared by the WeatherNation social media team back on 23 September. In addition, also attached above is a brief video briefing which gives further insights on the aftermath of Hurricane Florence and some thoughts as we look into the future of global tropical cyclone forecasting and improvements thereof. To learn more about other high-impact social science issues pertaining to weather, climate, and/or environmental topics from around the world, be sure to click here! 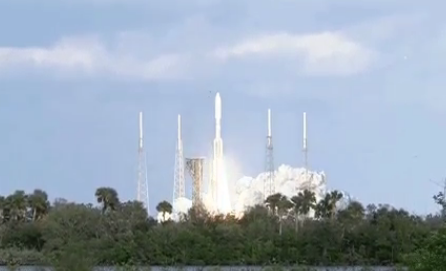 Recognizing a Major Milestone in Space and Atmospheric Science Research History! DISCUSSION: There is no debate that over the last 50 to 60+ years, there has been a dramatic increase in the persistence and determination of the international space and atmospheric science communities to find new, innovative means of conducting both terrestrial and extra-terrestrial research. Among the many ways in which mankind has been able to advance the progress of science has been the advent of the advanced remote sensing era. More specifically, through the introduction of advanced satellite imaging platforms, scientists of various disciplines from around the world have found cutting-edge ways to study various issues in detail they never had before thought possible. Whether it was studying other nearby galaxies and other associated solar systems or even studying convective storms here on planet Earth, higher-resolution satellite and telescoping imagery capabilities have opened brand-new doors to untapped research frontiers. Thus, it goes without saying that the international science community continues to remain indebted to the people who are most responsible for making such terrestrial and extra-terrestrial imaging advancements possible. Many of which work with the National Oceanic and Atmospheric Administration (NOAA) or (even more importantly) with the National Aeronautic and Space Administration (NASA). Furthermore, it is that much more appropriate to pay homage to the men and women who continue to work tirelessly day in and day out to help further and progress the continued advancement of global scientific research on the day which happens to be just past the 60th anniversary of the formation of NASA in the earliest hours. NASA is an organization which has continued working along its ongoing mission to break through in discovering more and more about planet Earth and the universe within which it lies. There is no debating the fact that the universe is an ever-changing medium and there are an endless amount of questions and uncertainties which continue to plague the world of science to this day. However, it is always comforting to realize that there is an organization like NASA which is continuing to work towards the goal of unraveling more and more of these deep mysteries about Earth and the universe beyond it. It just goes to show that so long as there are quintessential questions which people are looking for the answers to, there will almost always be researchers which are on the job trying to work such problems out to help try to make science just a little less daunting with every passing day. To learn more about other interesting social science stories in atmospheric, space, and/or climate science from around the world, be sure to click here! DISCUSSION: Even after now being a little over a year past the one-year anniversary of the historic landfall of Hurricane Harvey into the greater southeast Texas region, there are still many things people and meteorologists are learning even as time continues to move on. While it cannot be argued that Hurricane Harvey was not another horrific natural disaster as part of many which occurred through 2017 across the United States, there still were some brighter aspects of the forecast process for this record-breaking storm. First and foremost, it is important to acknowledge the fact that even after a year since Hurricane Harvey devastated many parts of southeast Texas, there are still some positive outcomes to take away from this historic rainfall-producing Gulf of Mexico-born hurricane. 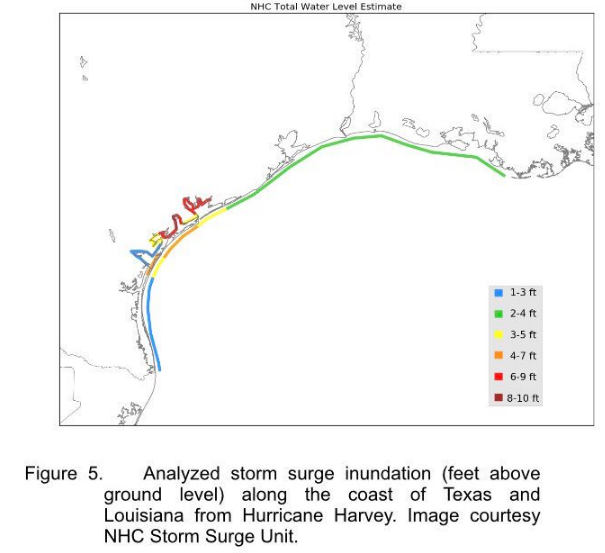 In addition, as shown above in the storm surge inundation graphic which was originally generated back in late January 2018 by NWS National Hurricane Center Meteorologist Eric Blake, you can clearly see where the worst storm surge impacts ultimately occurred in association with Hurricane Harvey. An important piece worth noting (which was brought to attention later on the same day of the original tweeted graphic within the same Twitter conversation which this particular storm surge graphic was posted within), is that it was discovered that Category 4 Hurricane Charley (2004) also did not have any storm surge-related deaths tied to its landfall on the west coast of Florida in and around the city of Punta Gorda, Florida. Nevertheless, this is a GREAT accomplishment on the part of both local National Weather Service (NWS) weather forecast offices (WFO) along with the NWS National Hurricane Center (NHC) forecast office to generate and well-advertise such effective and early-on advanced warning messages to the general public. This increased communication efficiency on the part of both local NWS WFOs, the NWS NHC, the Federal Emergency Management Agency, and others likely helped to spread out the seriousness of the impending threat heading their way in the form of Hurricane Harvey. This net result goes to show that taking action (which many people did in advance of Hurricane Harvey regardless of whether it meant stocking up, boarding up, or evacuating) nearly always has a high degree of correlation with there being a greater likelihood for survival. So, just another example for how doing even the little things can make a BIG difference out ahead of an incoming tropical cyclone threat. Also, always be sure to have a plan in place well in advance of any storm that may threaten your region during this or any future tropical cyclone season, since the majority of problems which the average people run into involves rushed last-minute preparations which can be costly both with respect to personal finances and the net loss of life. Thus, the moral of the story from this discussion and the minimal loss of life directly due to storm surge-related impacts is to always heed the advice and messages being directed to you by NWS and/or NWS NHC forecasters since it may possibly save your life one day. To learn more about other social science stories connected to atmospheric and climate science from around the world, be sure to click here! DISCUSSION: Over the past few decades, there has continue to be a rather heated global debate between global energy companies and various atmospheric as well as energy scientists from around the world on what the future holds in store for man-kind here on Earth. There is no question that man-kind’s future remains in question due to the consistent monthly, annual, and even decadal increases in global energy demands. This can primarily be attributed to the faster-paced lifestyles which hundreds of millions of people are becoming increasingly more and more used to with time because of how communication and interactions continue to evolve with time between people. Having said that, regardless of how the world, communication, and energy demands evolve, there is still a major need to address these global energy problems before they grow to an extent at which humanity would not be able to fix it. For starters, the first step in solving a problem is recognizing in the first place that there is a problem which needs to be fixed. Thus, through establishing that there is a developing global energy crisis, one can begin to work to find days to solve in through various methods. 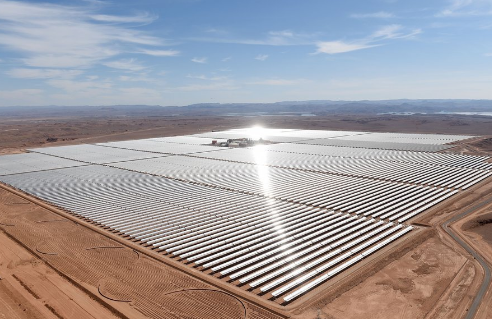 Among the various methods by which this can be accomplished, some researchers over at the University of California-Berkeley, there has been in-depth research focused on evaluating how and to what extent ultraviolet radiation from the Earth’s Sun and outgoing long-wave radiation emanating from the Saharan Desert may help to power the world’s energy needs. Attached below is an exact excerpt from the article written by Dr. Mehran Moalem from the University of California-Berkeley who is an expert on Nuclear Materials and Nuclear Fuel Cycle which helps to explain his findings in the context of energy extraction for various global energy needs from the Saharan Desert. Thus, it goes without saying that there are most certainly ways that man-kind have work to solve global energy problems and mitigate stresses on remaining non-renewable Earth resources. It is just a matter of figuring out what the world’s priorities are and what sort of condition we aspire Earth to be in for years, decades, centuries, and millennia to come. To learn more about this particular story, click on the following link! To learn more about other interesting social science issues and scientific topics thereof, be sure to click here!